My Cup of Joe episodes lately have been a bit erratic. For those of you new to these videos, they are my sort of ‘behind the scenes' of what's going on with Coffee Lovers Magazine and other coffee related stuff. Sometimes I talk about just stuff in coffee that's on my mind, other times – like this one – I'm catching y'all up on what's going on with the business. I was trying to think of a way to show you a bit of how it all goes down. I know many people think the magazine is run by a big ole team, but for the most part it's just me, along with my friend and colleague Michael Mage who handles the designs of the issues. The end of 2016 and the beginning of this year was all about CoffeeCon. We had the show in Seattle – check out that video – and then another one down in LA. 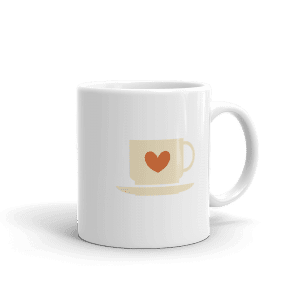 One of the main goals is helping people like yourself explore the world of coffee, and so it became obvious that providing coffee had to be part of the equation. You can now order coffee through the Coffee Lovers online store here. To start off with I am working with Jesse Nelson at Conduit Coffee. Having traveled many places and tried coffee from all over the world, I see him as one of the top roasters anywhere. He has fantastic artistic vision for roasting coffee, and it's a privilege to offer that coffee to you as well. In the future, through The Coffee Explorer (take The Coffee Quiz and learn more about that soon) I'll be able to provide very customized single origin and blend roast offerings based on your specific taste in coffee. For the CoffeeCon shows, I also have had some new merchandise made. In the video there you can see our new Mug and Beanie. We also have shirts available through the store. Check out our new merchandise here. There's a lot more to come – this is just the beginning and a little preview for you.